A small bag used by women’s of every age, every culture and every country for carry out every day personal items or necessary objects called purse. A small pouch of leather or cloth, or plastic used by women’s for carrying their money or typical items. So it becomes a need of every women and girl of any society or any class. As the women’s of European countries, American’s and others used a purse as a part of their outfits same as the Asian ladies uses it and take it as a symbol of fashion. But if we look in the past then we will know that the uses of purse is not only frequent in present but its used moreover in past days. Perhaps many of us have heard from their grandmothers or mothers that in the past days the ladies used a small pouch, which made of clothes and they hanged it in the neck with the help of thin piece of rope or hand made small piece of cloth, which was same like a thin rope. The women’s of Balochistan who are belonged to Pastoon and Baluch tribes were using this kind of purses in their usual life for carrying their money and gold accessories. And they were hiding it, into the clothes. The ladies of sub-continent used a purse of clothes. They made it in their houses with the waste or ordinary pieces of clothes and then they used it for shipping of money, necessary items of beauty and jewelries etc. And now it becomes a part of our outfit and as important as other accessories of fashion. It is turn into every woman’s need and especially for those whose are working women’s and go outside for their daily life requirements. Working women need it for carrying their money, mobile phone, perfume, tissue papers, comb, lipstick, mirror and also important documents or national identity card etc. The purse is not only the need of working women’s or out going girls but it becomes a necessary element of fashion and fashionable personalities. In the local markets, there are various kinds of purses available for each and every kind of customers. The shopkeepers reserved every kind of stock for their valued customers. The elegant and stunning collections for high class customers and yet simple & classic for middle or low class customers. 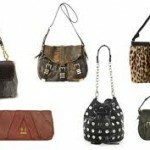 So the purse grows to be a need, a requirement and want of every girl and women of modern era. My Husband Blames Me For His Affair – Who’s To Blame? What is Self defense ?